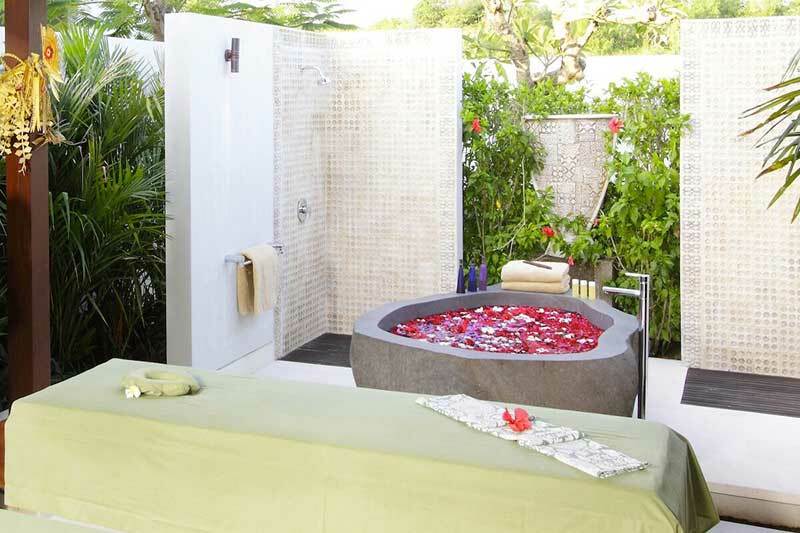 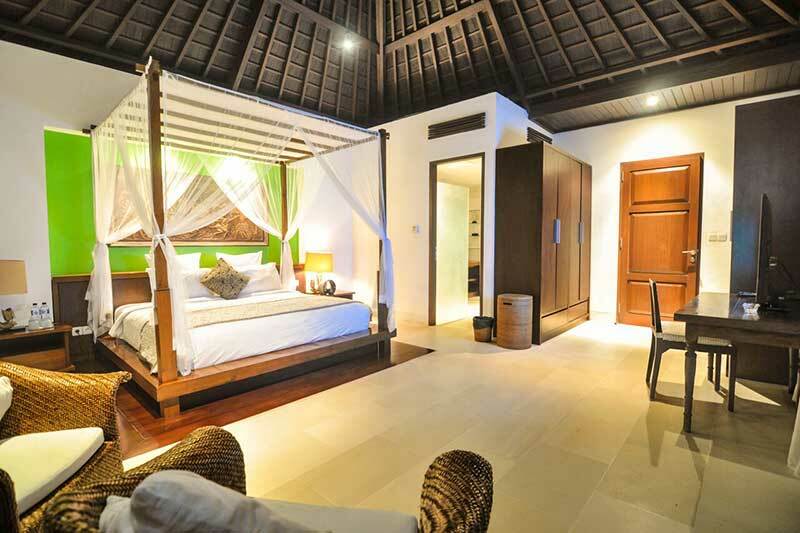 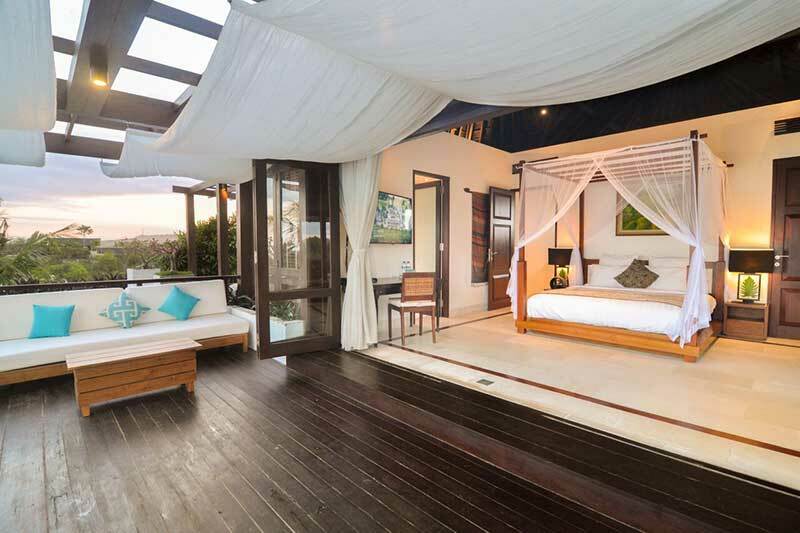 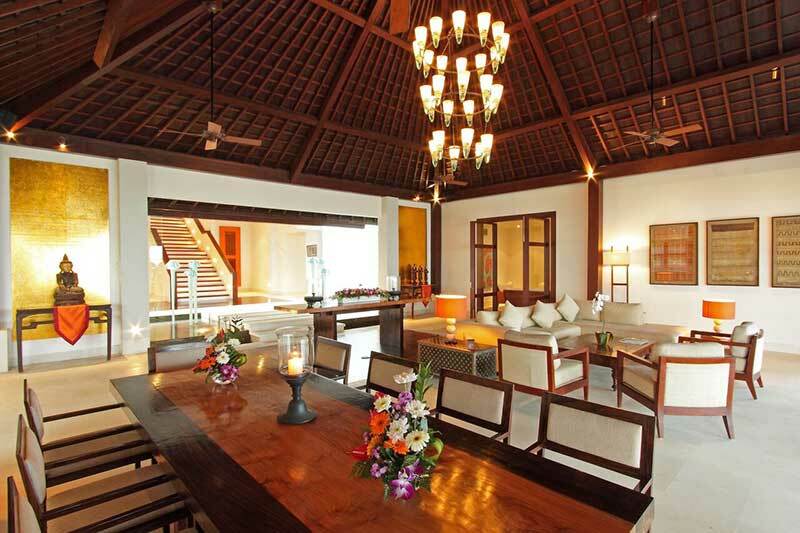 Villa Cahaya + Ganesh Pool Suite can accommodate up to 12 guests. 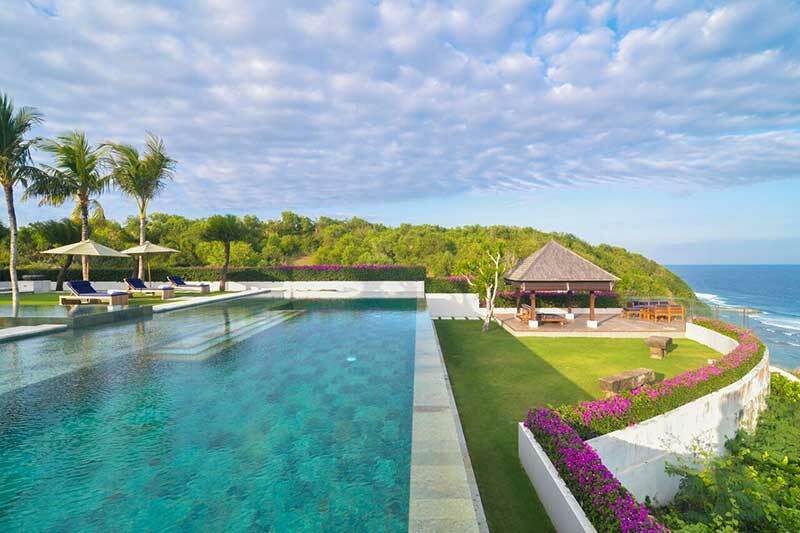 Villa Cahaya which is located in the front position of the cliff with 5 comfortable bedrooms and can accommodate up to 10 guests. 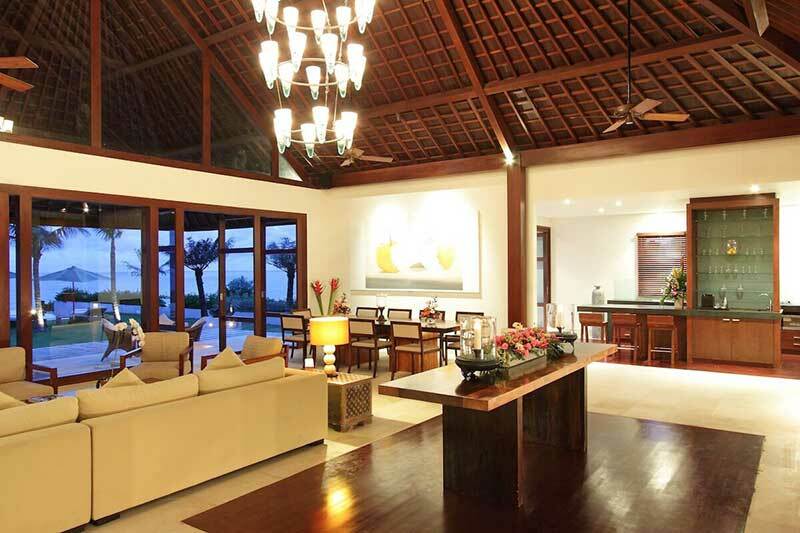 Villa Angin Laut is a spacious and comfortable four bedroom villa & can accommodate up to 8 adult guests. 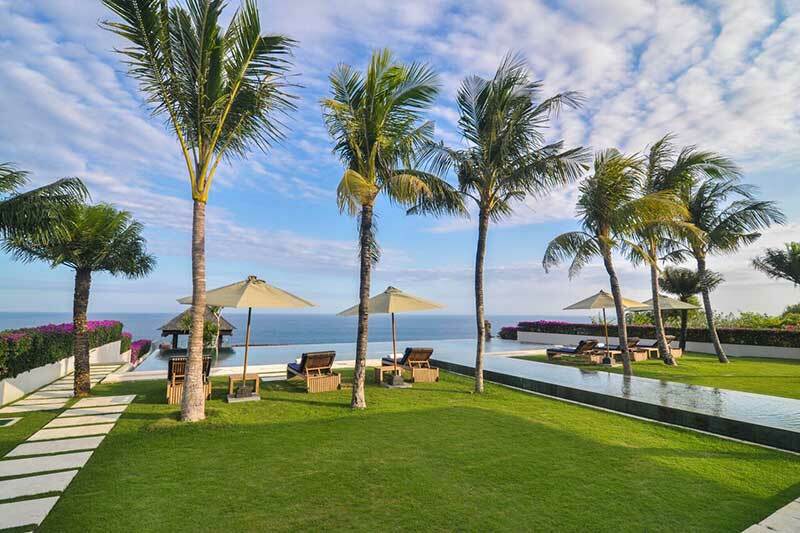 Sinaran Surga is an exclusive private and luxurious estate perched on a 70-meter cliff above the sea located on the southern coast of the island of Bali. 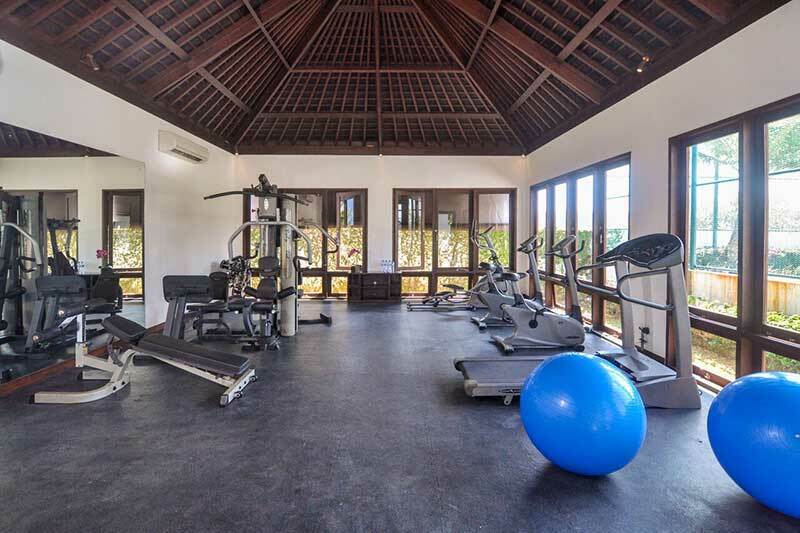 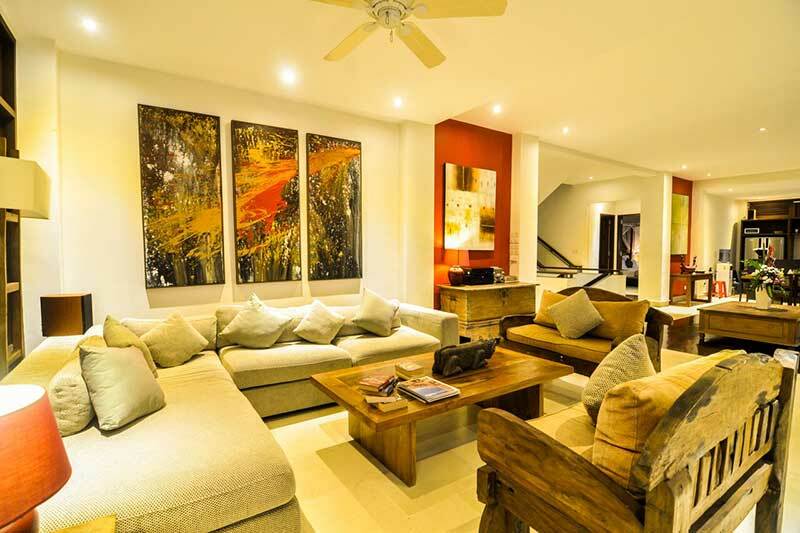 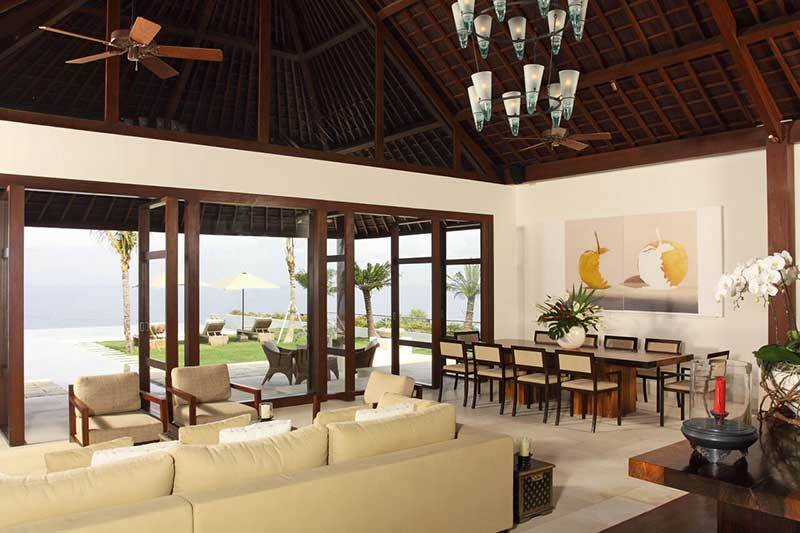 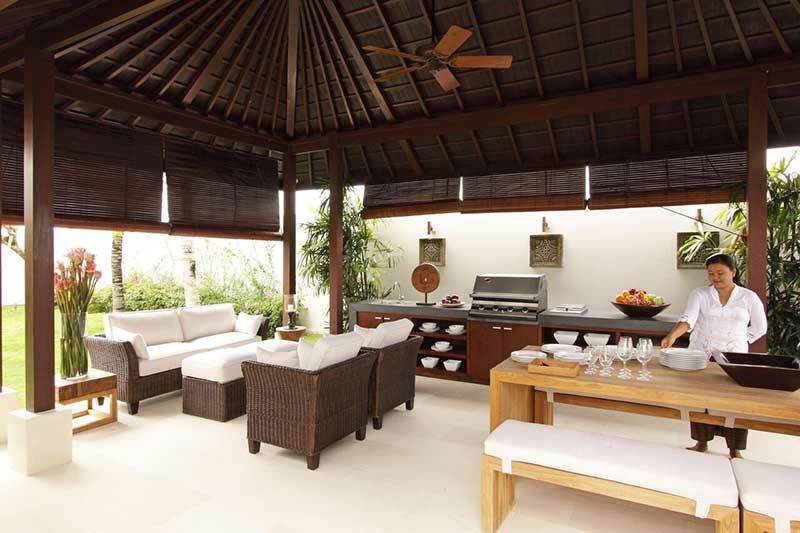 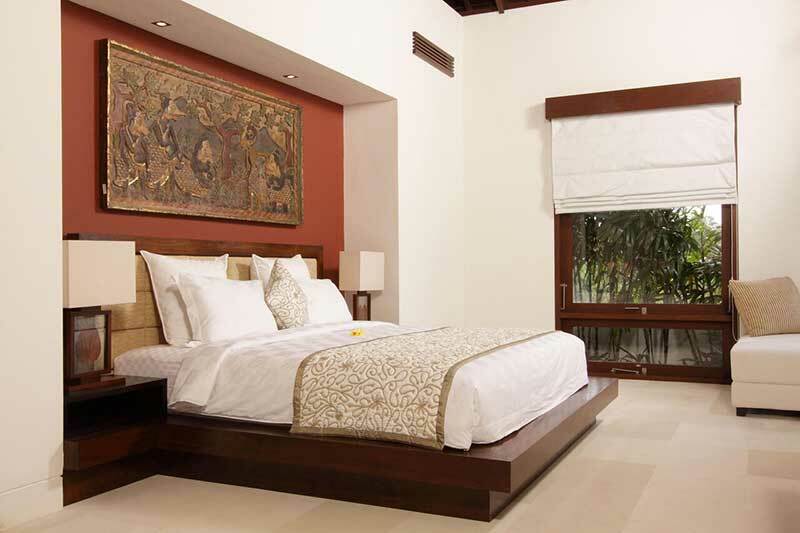 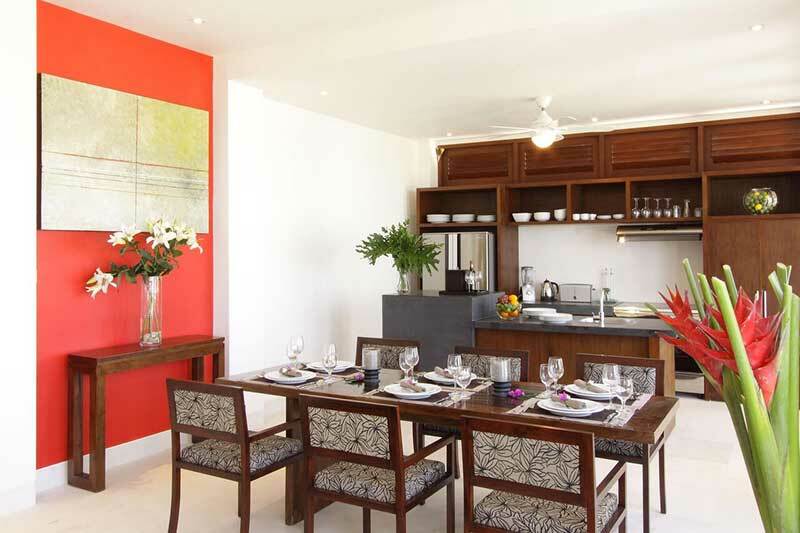 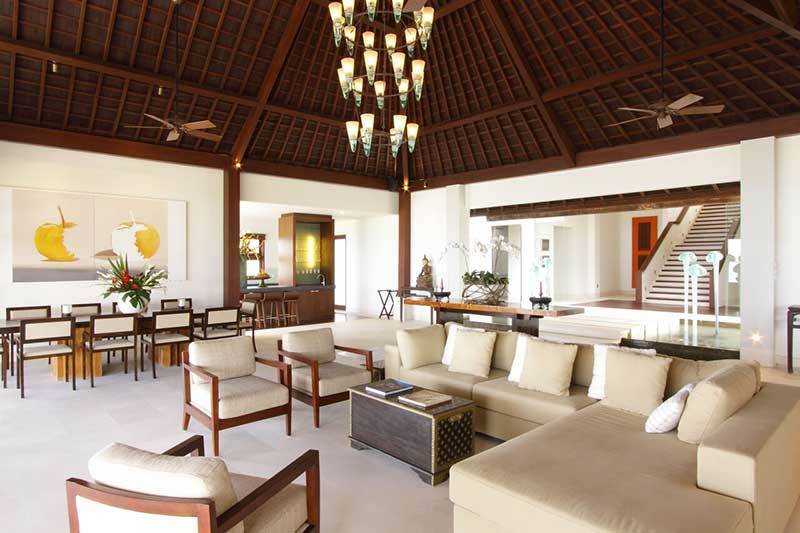 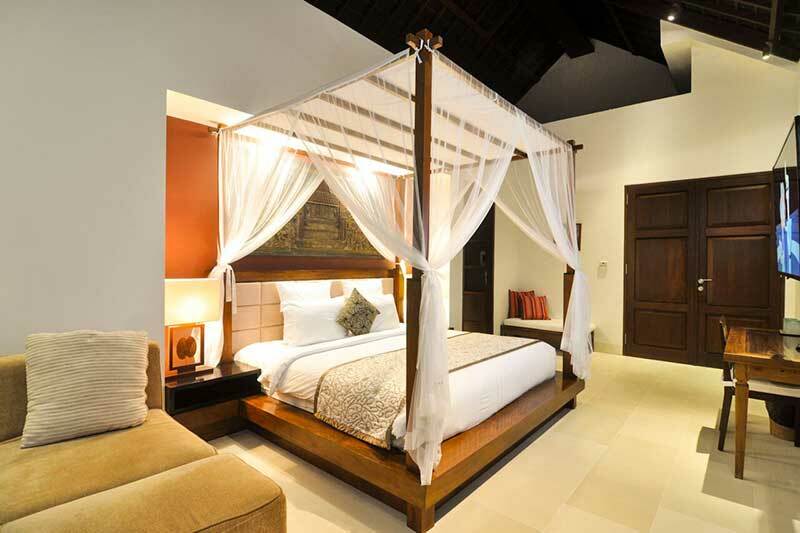 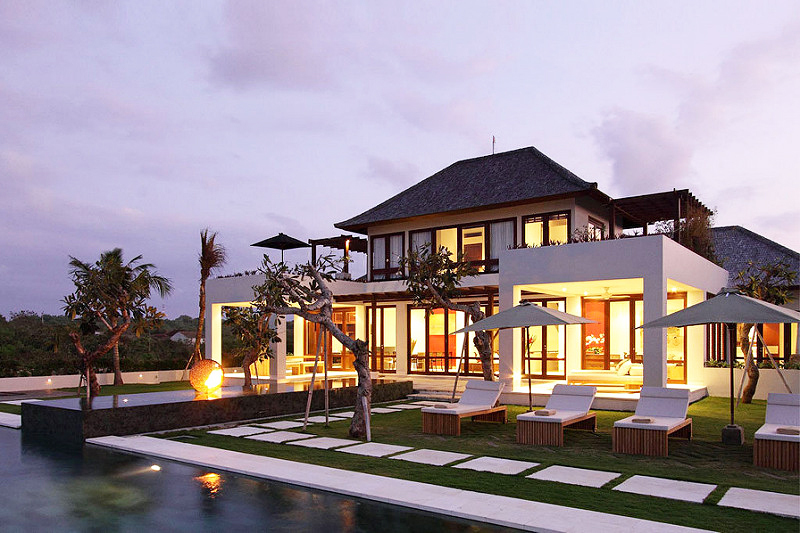 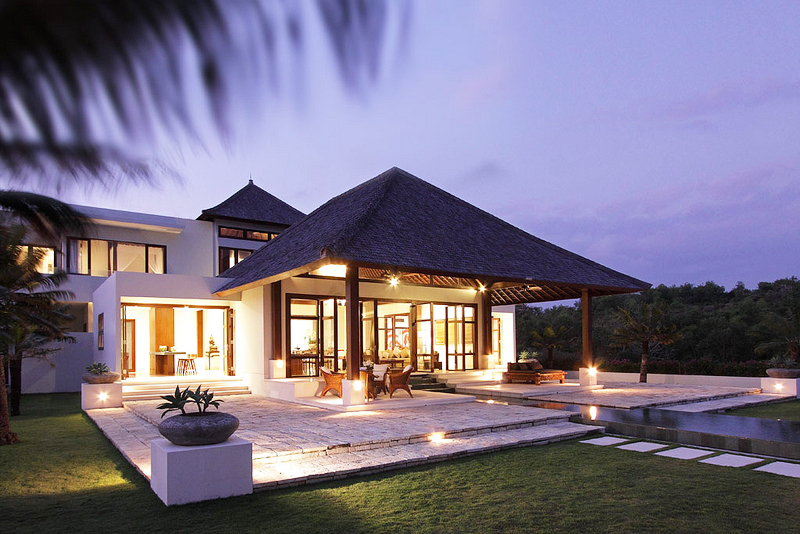 Sinaran Surga offers you two luxury villas that are luxurious, comfortable and great for hire. 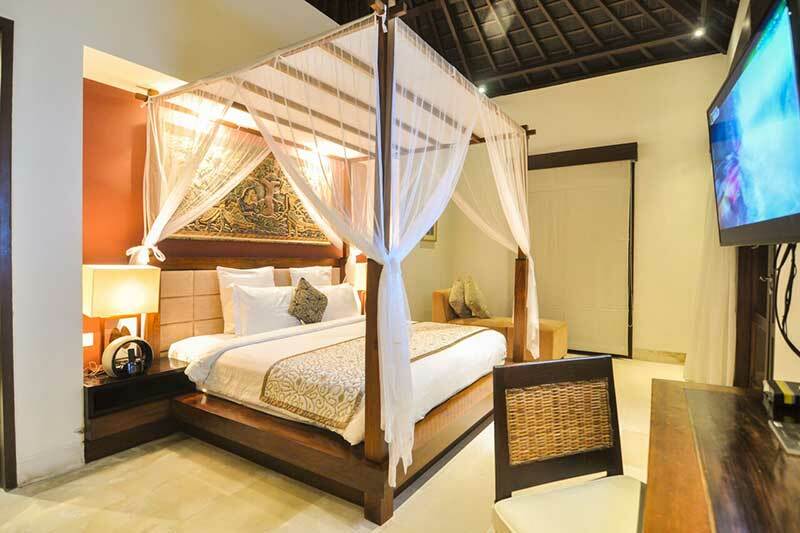 Staying guests will be able to enjoy Bali’s distinctly decorated Balinese Fine Arts around the unrivaled swimming pool of villas, water features as well as exotic tropical gardens. 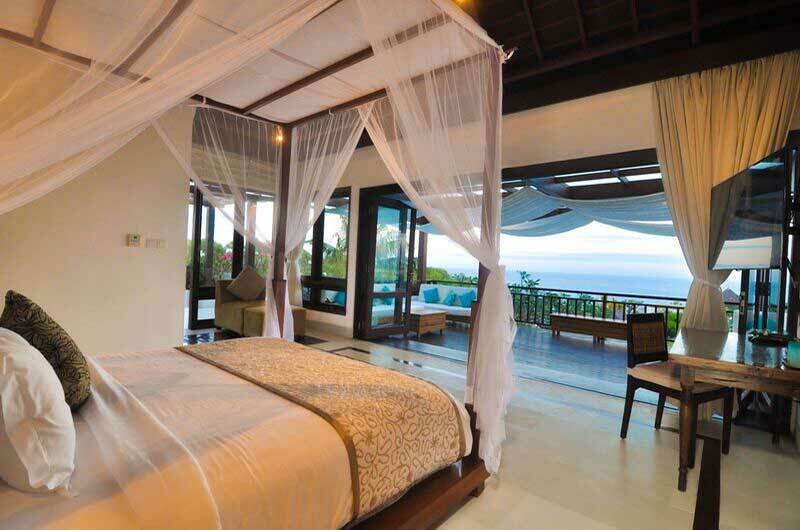 Guests will also be served by friendly and professional villa staff ranging from 24-hour management teams, full privacy services, and guests also have access to facilities such as plantations as well as access to a quiet and clean hidden beach located under a cliff. 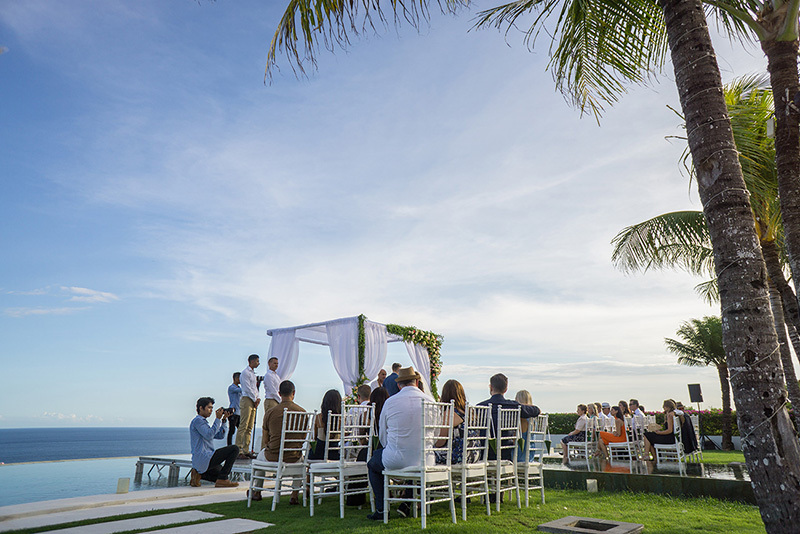 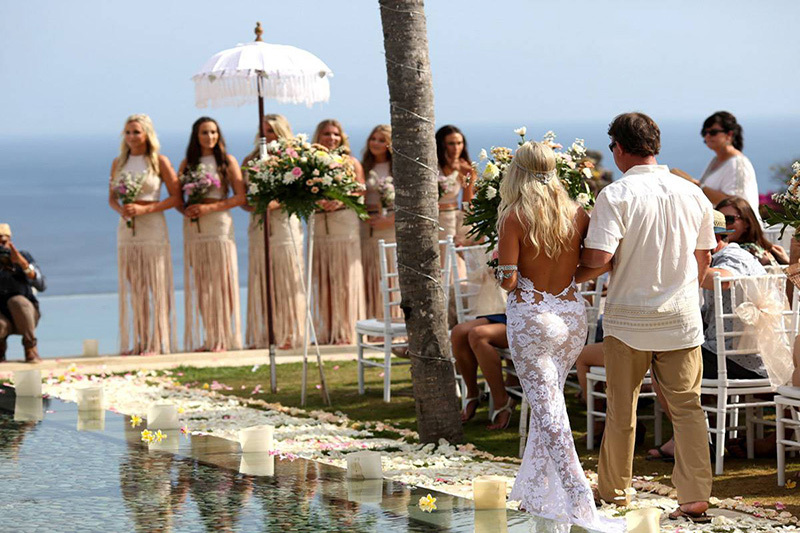 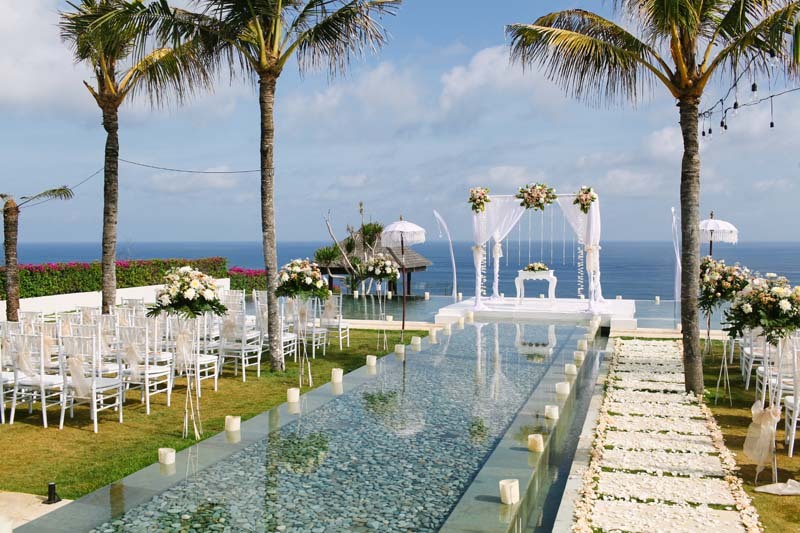 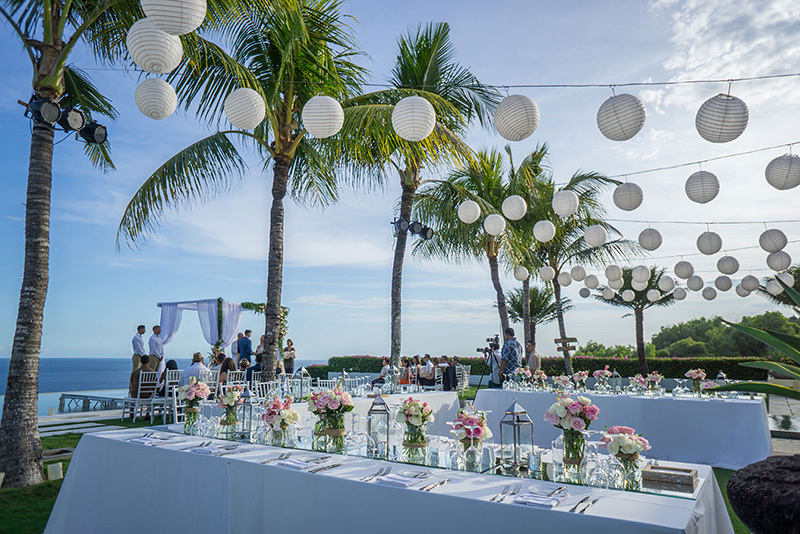 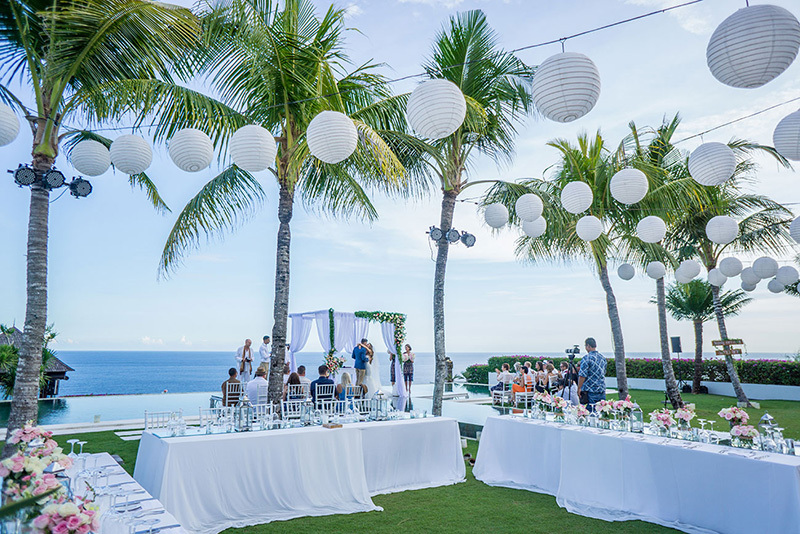 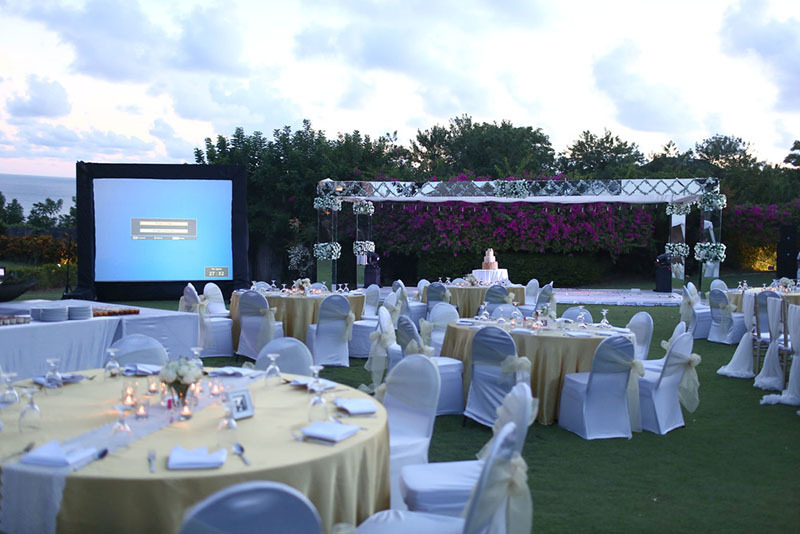 This luxurious estate villa Blessed with spectacular and breathtaking views of the Indian Ocean, it is the perfect place for weddings and prestigious organizational events. 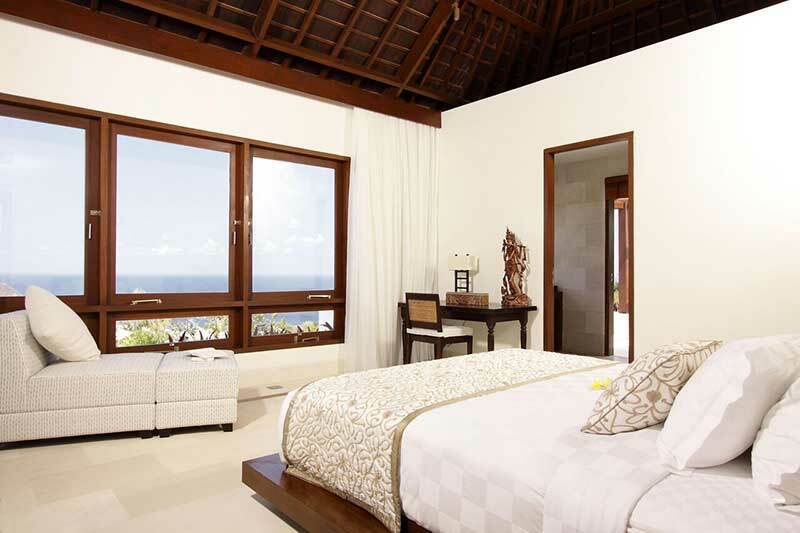 Sinaran Surga consists of two private villas, luxurious and large that is Villa Cahaya which is located in the front position of the cliff with 6 comfortable bedrooms and can accommodate up to 12 guests and Villa Sea Breeze with position in back position set with 4 bedroom spacious and comfortable. 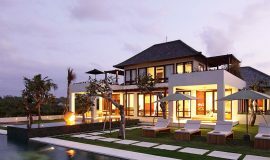 Each villa offers you a panoramic sea view and has an infinity pool as well as a spa pavilion This estate area provides exclusive ladder access to a hidden and deserted white sand beach beneath the cliffs and also gives guests a luxurious gym complete with luxurious equipment and a tennis court complete with a bathroom and there is also an attached toilet. 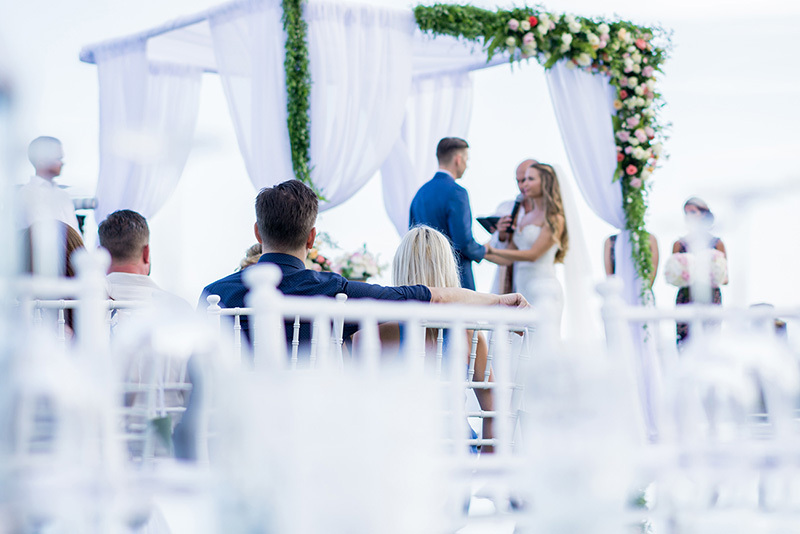 There is a reception pavilion and there is also a permanent security staff to ensure all guests of the villa staying have privacy day and night. 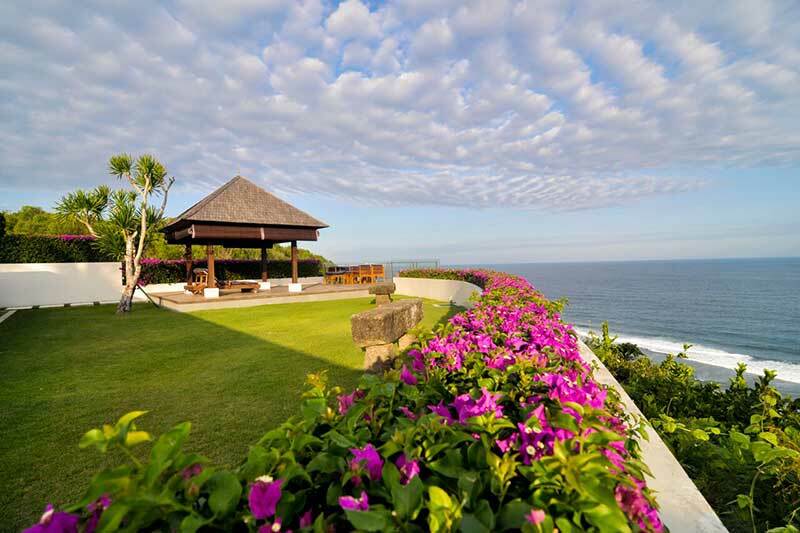 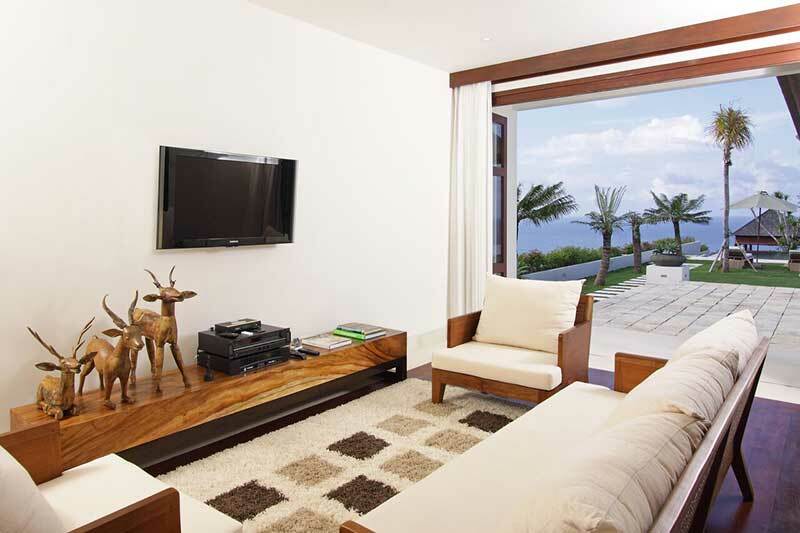 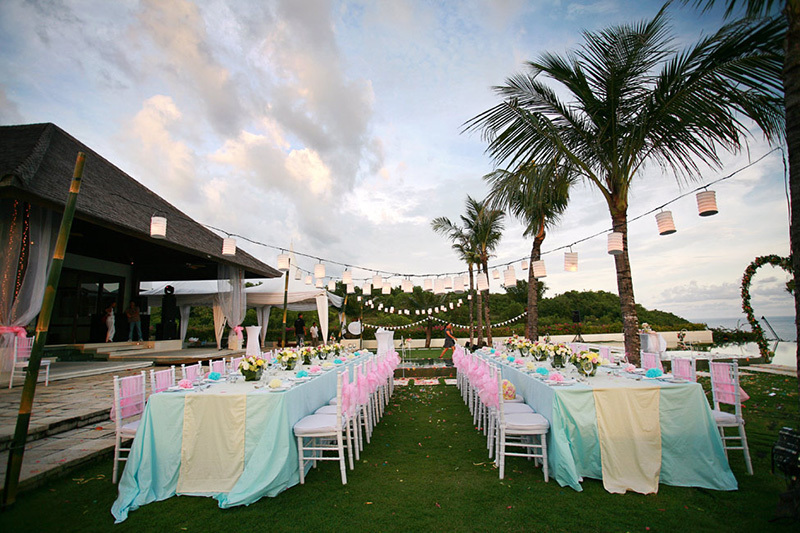 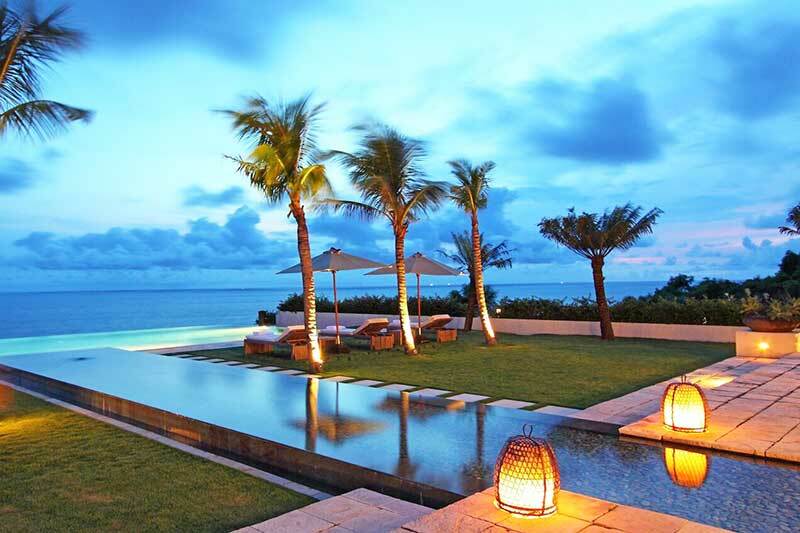 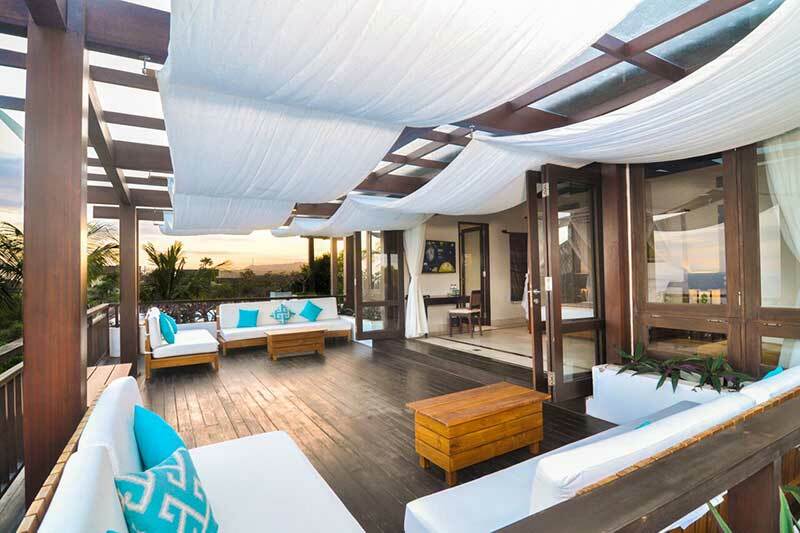 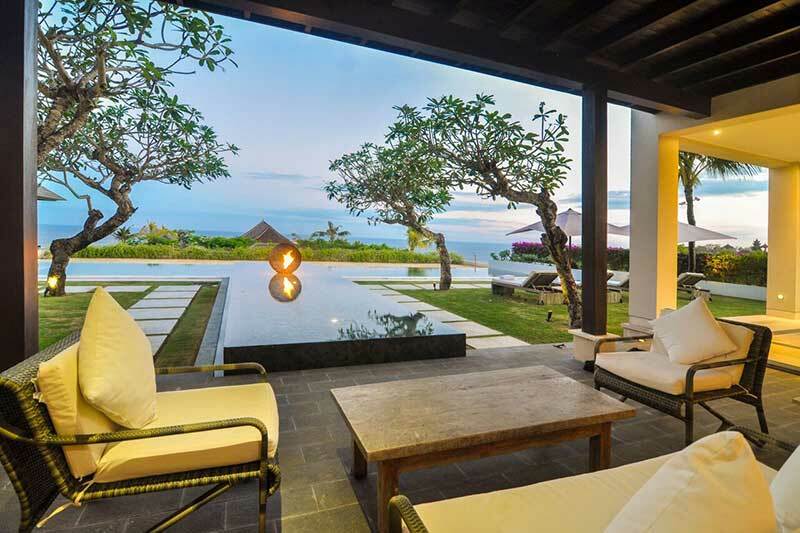 Villa Cahaya gives you a spectacular view to the sea from the situation in front of the cliff. 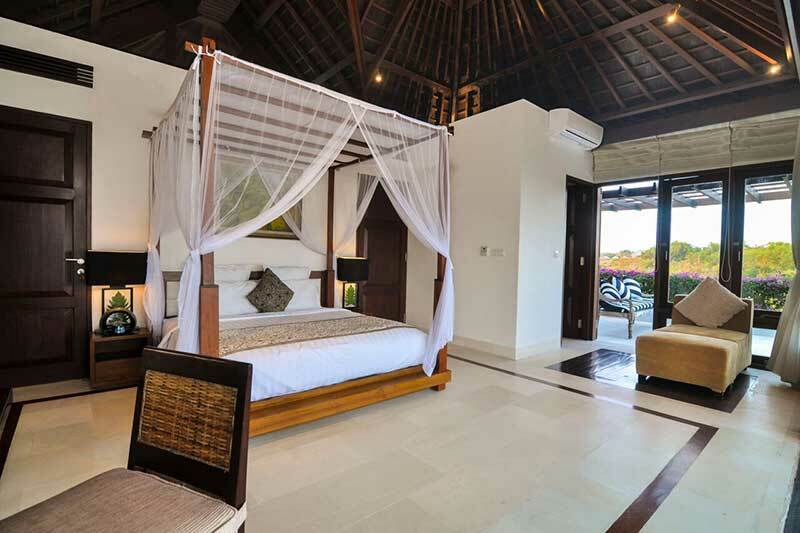 Villa Cahaya is built on two levels, where the upper part of the villa offers you a quiet living room with comfortable bedrooms and a tropical garden. 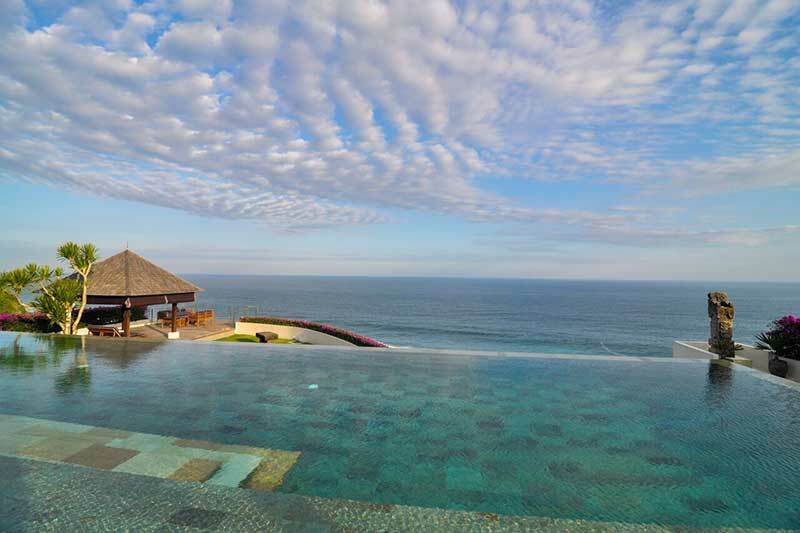 Then the ground level of this villa is devoted to the reception hall, there is a swimming pool with no borders with a magnificent deck resting place on the cliff. 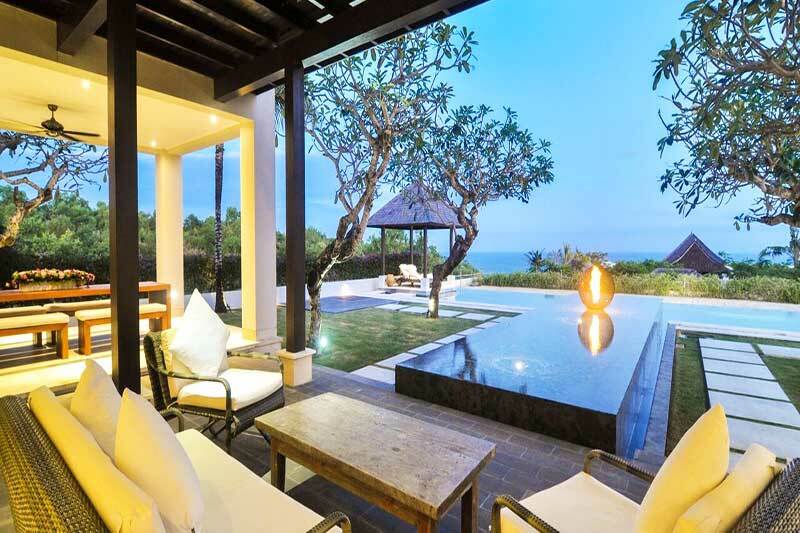 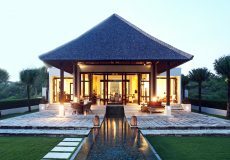 Villa Cahaya stands on 3,000 square meters of land, offering many places for you to relax on the terrace overlooking the ocean or also under a shaded pavilion. 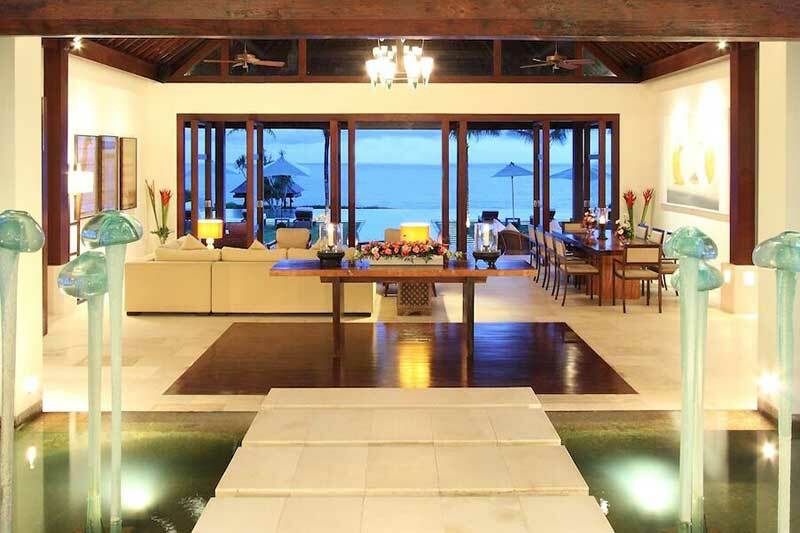 And the magic in this villa continues at night with the stars lit up and reflected in the large pools around the villa. 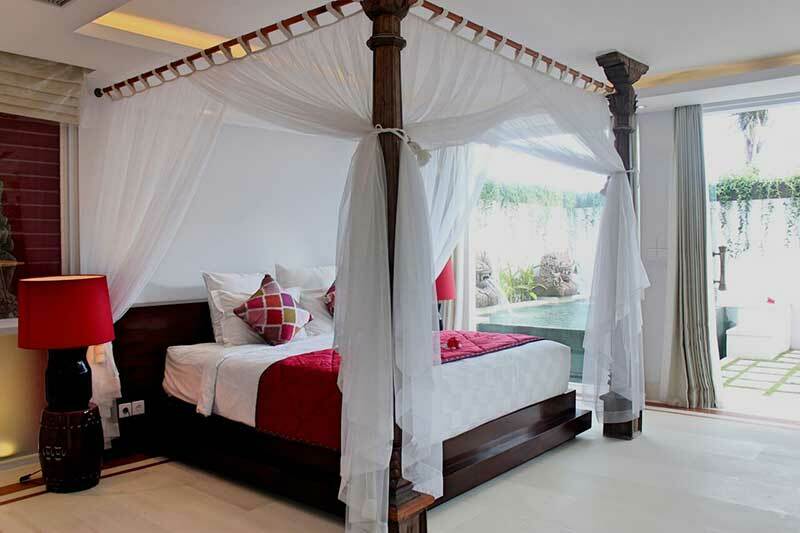 Bali Accommodation Villa Angin Laut is a spacious and comfortable four bedroom villa, and stands at the rear of the cliff and behind Villa Cahaya, yet is on the top floor, giving you a marvelous panorama of the ocean. 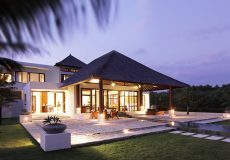 Villa Angin Laut is built on three floors and has four independent ensuite bedrooms, and leads to a large and bright villa living room. 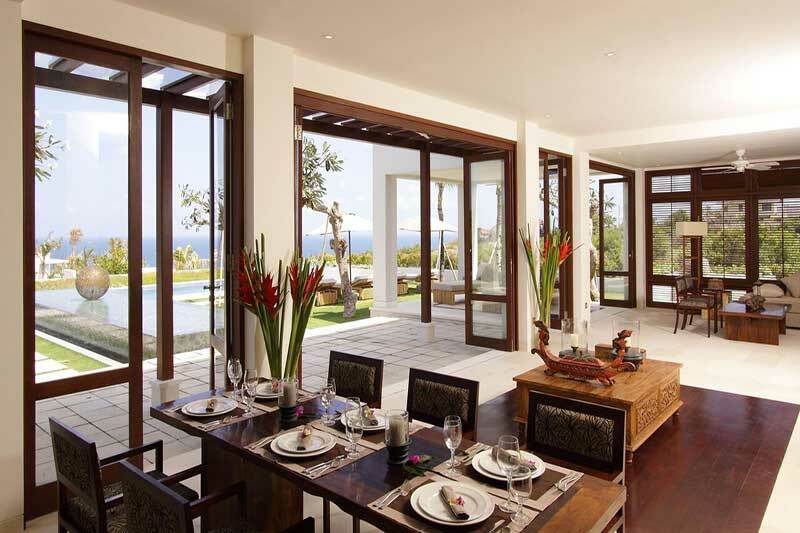 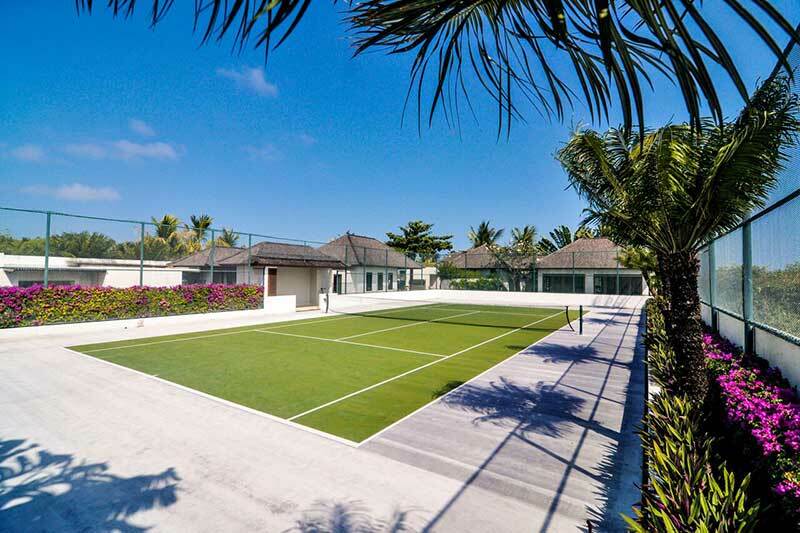 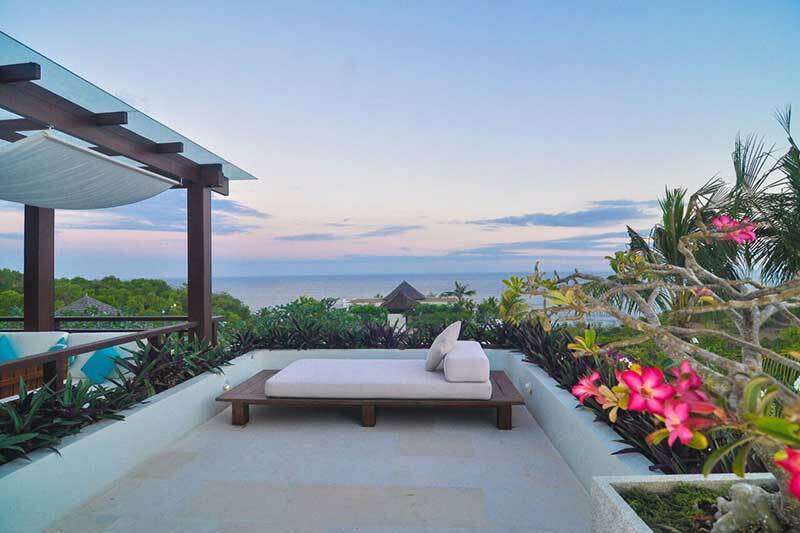 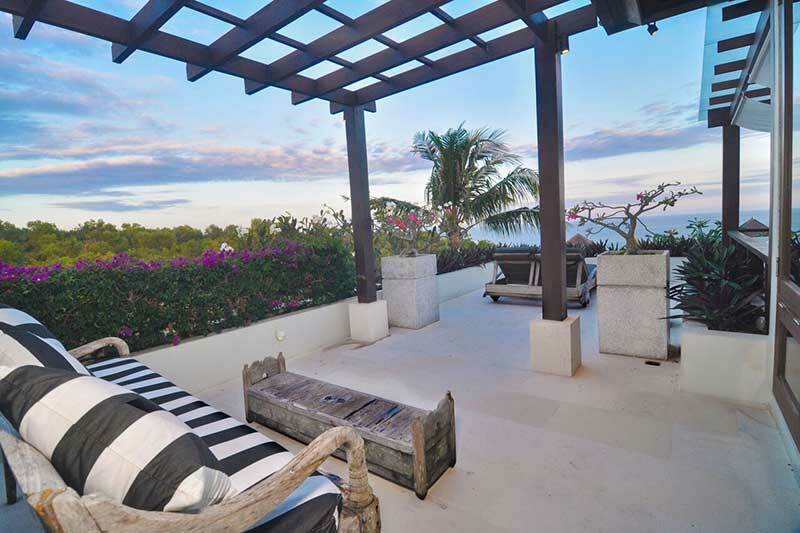 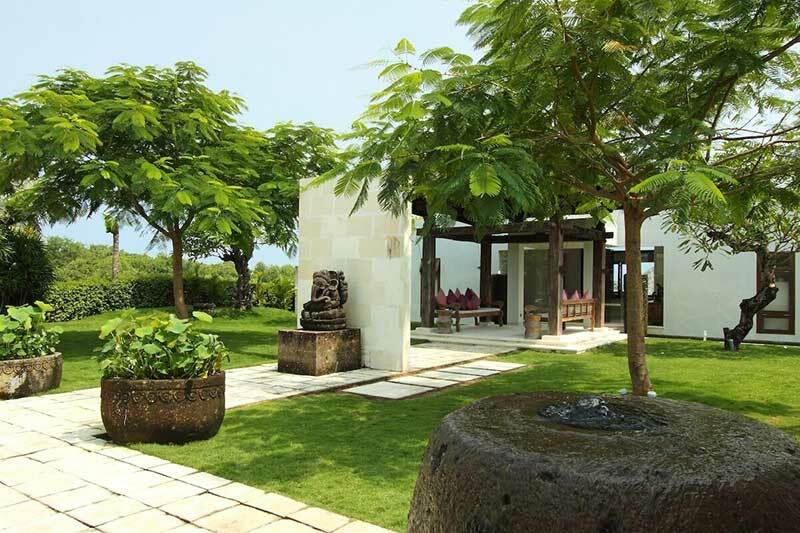 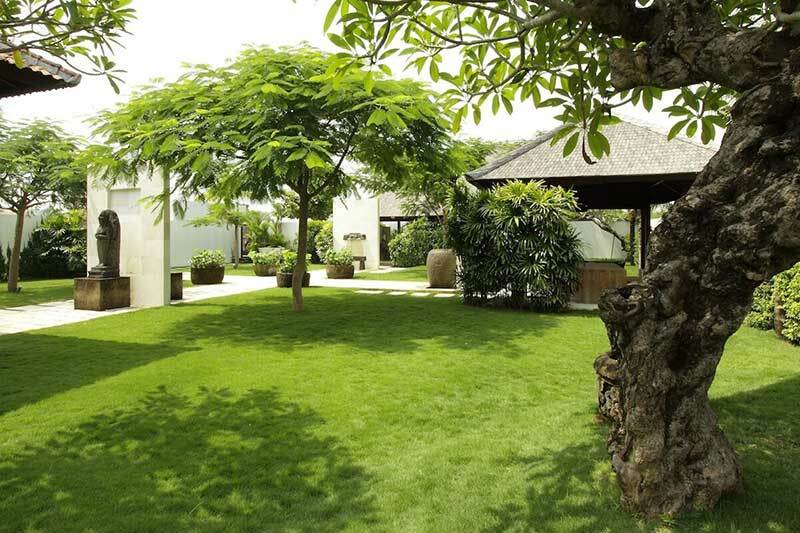 Facing onto the terrace adjacent to frangipani trees, as well as endless swimming pools, this wide open space will be the center of the villa that can accommodate up to 8 adult guests. 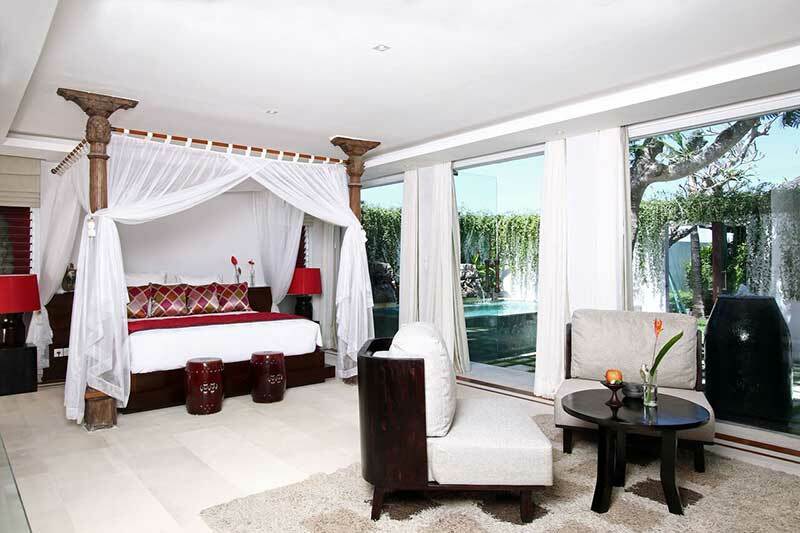 With all the luxury, service and facilities it has, Sinaran Surga will be the perfect place to stay during your vacation in this beautiful island of Bali. 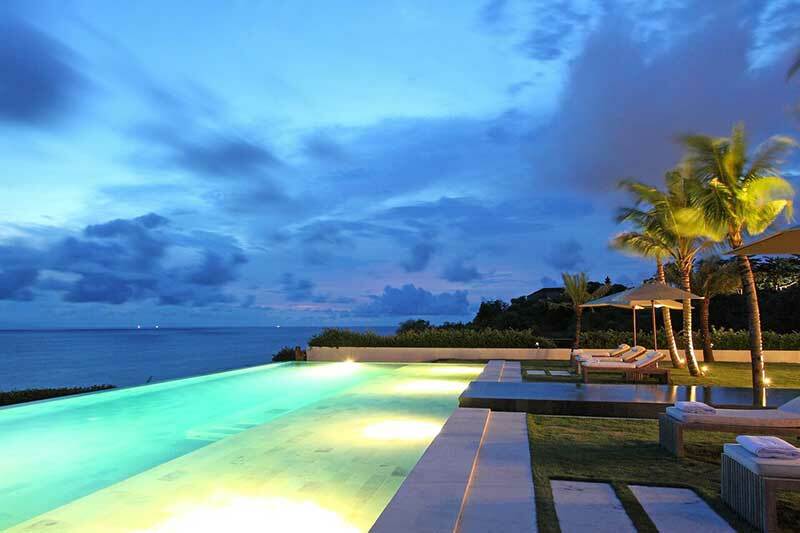 Balance Payment (non refundable) to be paid 30 days prior to arrival. 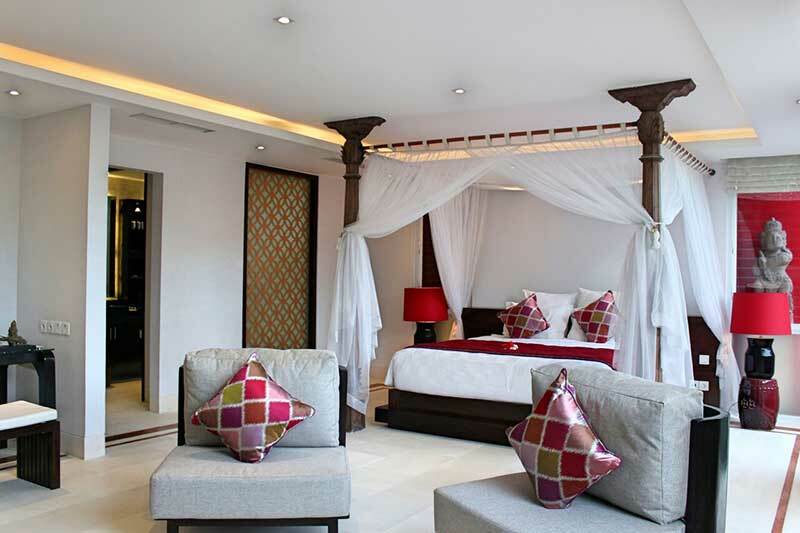 50% deposit (non refundable) to be paid upon confirmation.